Pretty much since Thanksgiving, Dan and I have been busy every weekend. I’m kind of a homebody, so I miss having some down time relaxing in my sweatpants on the couch. Last weekend, we had a rare Saturday night free, so Dan and I decided to cook up a meal together. 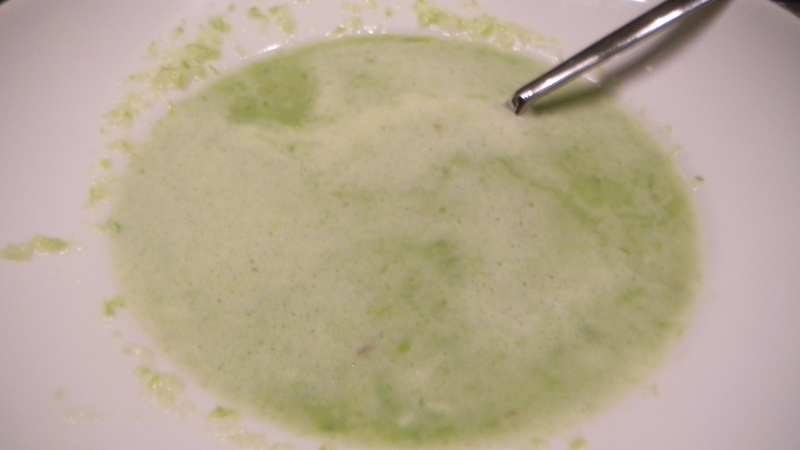 and healthy cream of asparagas soup. 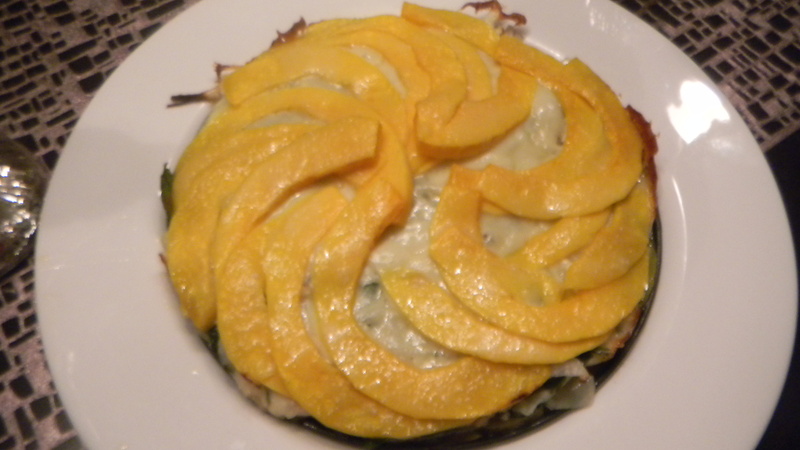 In the torte, I substituted fresh spinach for kale, left out the tomatoes (we didn’t have any), and changed the red onion to yellow onion. The torte was good, but it probably would have been better with the red onion instead. 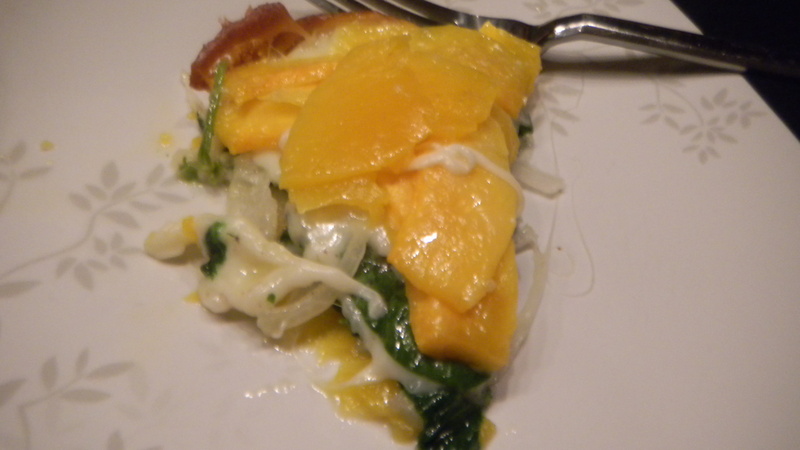 Still, all the cheese (there was provolone slices and grated parmesean reggiano) made this dish delicious. 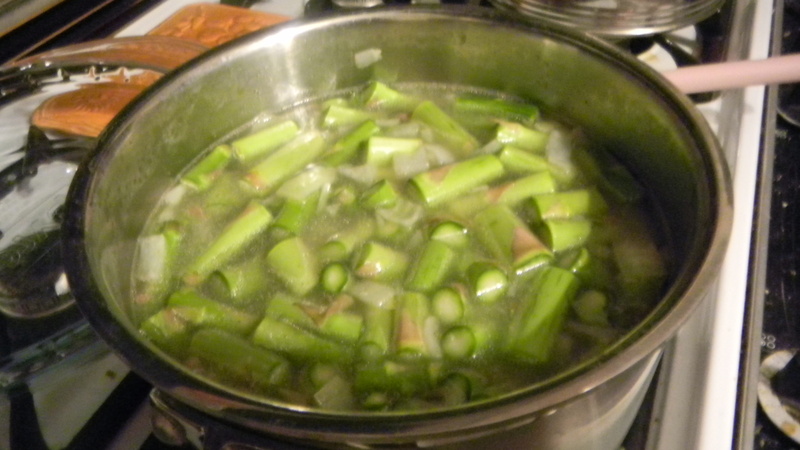 As for the soup, I followed the recipe exactly, making sure to let the ingredients simmer together before adding in the sour cream and pureeing. It was OK, but not sure I’d make it again. I think the biggest issue with dinner was the high volume of onion. The dishes seemed to fight each other instead of complementing one another. Oh well. Next time, I’ll pair the torte with a different kind of soup.